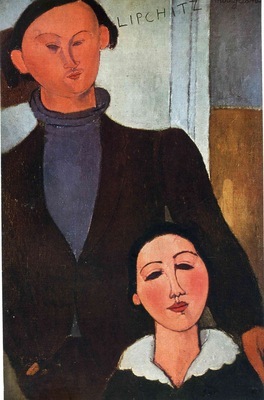 Amedeo Clemente Modigliani (July 12, 1884 – January 24, 1920) was an Italian artist who worked mainly in France. Primarily a figurative artist, he became known for paintings and sculptures in a modern style characterized by mask-like faces and elongation of form. He died in Paris of tubercular meningitis, exacerbated by poverty, overwork, and addiction to alcohol and narcotics.